Flemish government bans fur farming and force-feeding for foie gras, by December 1, 2023 at the latest! This will affect 17 mink farms and the only foie gras producer in Flanders. 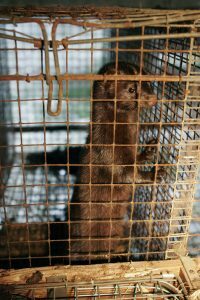 Fur farms have already been banned in the two other Belgian regions of Wallonia and the Brussels capital region. This is however symbolic, as there weren’t any fur farms in either regions when the bans were introduced. Foie gras in Wallonia is still not prohibited.